When Siddhartha Gautama created the spiritual commune (sangha) 2600 years ago, republican essential foundations simultaneously were established for the Liberation of the people, because while in the monarchical system there is a king who has the whole Power, however, in the republican system several partial power-administrators coexist. Therefore, in the republic of spiritual commune (sangha) several powers coexist in order to avoid authoritarianism, because it is considered dangerous that Power is concentrated in a single person or entity. Thus, the system of the republic of the spiritual commune (sangha) is the maximum representation of the intrinsic Liberty of human being, by protecting the people including those who boast to represent it. In this sense, the spiritual master is the embodiment of the republican spirit, because his leadership paradoxically teaches self-limitation of his own power. The Free and Enlightened Being (Arhat-Bodhisattva) has the function to awaken people, seeking the highest harmony and balance among the powers of the republic. This means that the Buddhist Spirituality is the Cure (Nirvana) facing the tension and conflict in the contemporary global system, as when the government or executive power often tramples the independence of the judiciary, legislature, media, and popular powers. In this way the Maitriyana liberates the society from all kinds of monarchical nostalgia or reminiscence of authoritarian power, sublimating the impulse towards Unity by being the natural spokesperson for the democratic vocation. The republic of the spiritual commune (sangha) is a complex system that safeguards the Liberty of the members, but without falling into debauchery and chaos, reason why a single subject must never rule on the cusp of Power. Thus, the revolutionary contemplation (kakumei-zen) is a libertarian resistance inherent to the complexification of society. This Purpose (Dharma) of the Buddhist Spirituality ensures the Liberty of people even above the order of the State, being a democratic heat that proposes to build society from bottom to top. Ergo, the discipline of the libertarian meditation reconciles the peoples through self-realization of autonomy and self-determination, being a Middle Way of a republican spirit which claims that the governments should not be authoritarian in order to maintain social order. In fact, the Maitriyana, close to the anarchist or libertarian socialist vision, transcends the opposite poles of savagery and authoritarianism, by creating a system capable of synthesizing the individual liberty and social discipline through the contemplative experience. Precisely, the experience of the spiritual masters shows that such a synthesis or reconciliation (Maitri) is difficult but undoubtedly achievable, being a Path that moves towards the evolution of society by overcoming the many barriers imposed by the governments which are thirsty for permanent Power. In this way, the Free and Enlightened Beings (Arhats-Bodhisattvas) encourage the perfectionist drive with the ethics of Detachment, which implies overcoming crises through the ongoing learning of imperfection (dukkha) of life. In this sense, when the error is understood, it becomes one of the most generous sources of compassionate wisdom (karuna-prajna). Here the teaching of Buddhist Spirituality is not the prohibition to err, but rather to stop repeating (karma), always acting with perseverance and humility but never with obstinacy or stubbornness. Nourished by the experience, the spiritual master insists with hope in the possibility of fecundating a better world, moving towards the learning of life in a perennial way. The Maitriyana takes issues facing the social dilemmas through the ethics of Detachment, showing an alternative to the extremes of authoritarianism and debauchery. With 2600 years old, this spiritual movement is the most prestigious of history, complying with the important task of guiding the world through the counterpower of compassionate wisdom (karuna-prajna). Thus, it is fruitless to try daring to belie or contradict the strength of Buddhist Spirituality even when it is performed a critique of the intention of governments to try to dominate justice and steamroll the republican spirit of the balance of powers, which is the key of social organization. Faced with a capitalist civilization based on warmongering, inequality, ignorance and pollution, the Free and Enlightened Being (Arhat-Bodhisattva) reaffirms and defends the republican spirit, being the fundamental element which faces the impulse to domain without any brake or control which is a characteristic of totalitarianism. The spiritual master must always expose the limits to the worldly power, since it is the incarnation of the people's Liberty. The republican spirit is then the balance of powers, being the synthesis or reconciliation (Maitri) between the tensioned forces of authoritarianism and debauchery, at the same time it is stated that in order to not incur tyranny, the powers must have limits that go in pursuit of the welfare and progress of society. 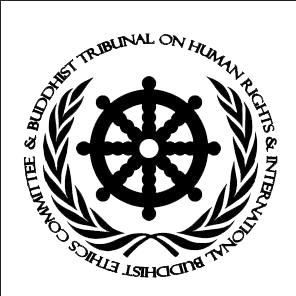 In this sense, the republic of the spiritual commune (sangha) is a Middle Way between the extremes of tyranny and decontrol. When the republican spirit is cultivated and matured as a dynamic balance of powers, by converting this virtue into custom or social habit, then society can move towards the event of vocation or Purpose (Dharma) of Awakening (Bodhi). Thus the tradition of Maitriyana intervenes in the world as a system capable of overcoming the difficulties and failures of the past, by fading the contradictions through a social engineering that builds a new kind of mature and evolved humanity, much more free and enlightened, after having definitely learned from the lessons of history. Only then the peoples will be able to define their unrenounceable mission on Earth (Gaia) and in the Universe.